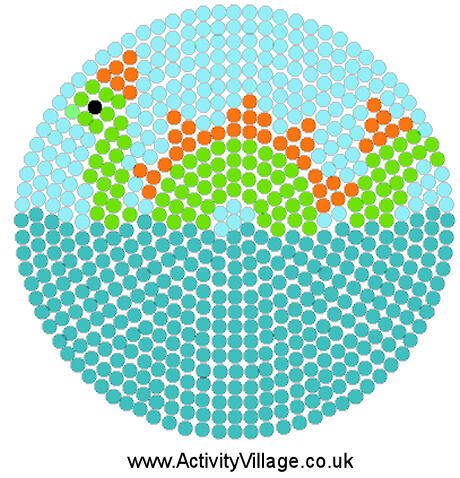 Try this Loch Ness Monster fuse bead pattern - it's a friendly monster! We used a large circular peg board. Our Ness is bright green and orange, but no-one really knows what colours the monster is so you can choose your own! You will need two colours of blue - one for the sky and one for the loch beneath the monster. Try this Scottish flag fuse bead pattern for St Andrew's Day or any other Scottish occasion. Try this Thistle fuse bead pattern for St Andrew's Day or any other Scottish occasion.